Will you be one of a kind, or one of many? Your website is a direct representation of your business. People decide whether or not they like you within the first 3 seconds of an encounter, sometimes even less. We want to make those 3 seconds count. By using a design to not just impress, but express the essence and value of your business, your clients will already be sold before reading a single word. We get on the phone and discuss your brand. Defining your target audience, business presence, goals and ideal user experience. We create a design for you that reflects your brand, and naturally appeals to your target audience. This is done directly on your website host or with Photoshop design layouts, depending on which development route you choose to take. You will look over the design and give us feedback. If applicable, we will then work with our developers to code your website. We will adjust the design based off of your needs, until it's just right. Now for the fun part! After all the work is done, it's time to publish your site and show the world just how unique your business is. Web-builders are a great option for small scale entrepreneurs who want to be able to add and edit things on their own in the future without the help of a developer. Because of the easy drag and drop user interfaces of these web builders, we can make a design you love, for much less, and a lot more quickly! 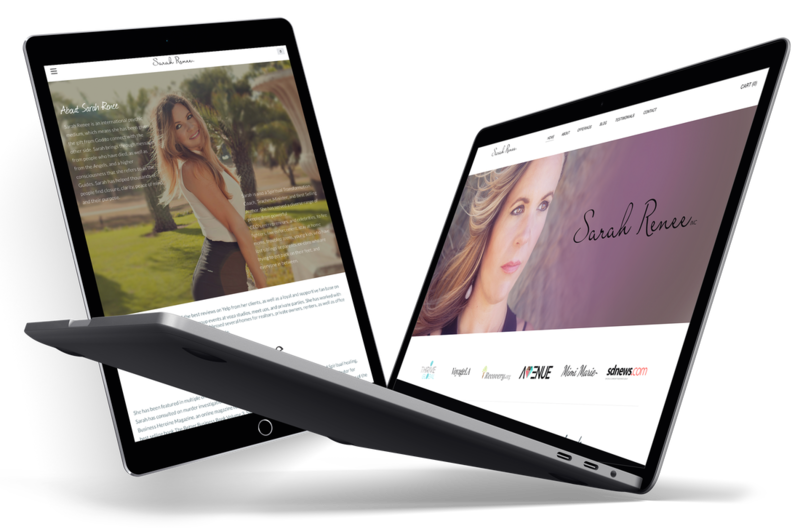 Blogs, online stores, and a great design can all be created this way. Coded websites, or websites that need code to some degree (such as wordpress) are ideal for larger scale businesses that have special website needs. If you know you want a very custom website with lots of unique back end development requirements, a coded website is the way to go. We work with a range of developers to make your big vision come to life. Paper Scraps helped me redesign my website and rebrand my business. 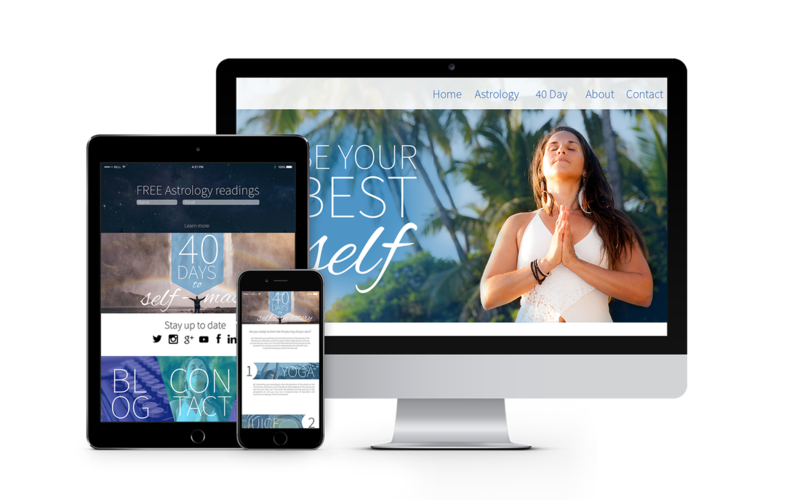 They were able to translate my vision into a clear message and beautiful design while providing me with excellent guidance and practical action steps I needed to implement in order to take my brand and business to the next level." Paper Scraps did an incredible job designing my logo and helping put together my new site. They really took the time to listen to me and get clear on my visions and hopes and was able to put it together a million times better than I even imagined! I highly recommend them to anyone who really wants their logo and site to stand out and feel unique and on point brand wise!